Over the weekend, we got to go to a ranch in Sonoma County where a long lost family member (my brother-in-law’s step uncle if we’re counting) grows about an acres’s worth of grapes – enough to make several dozen cases of wine per year, with which among other things he brings bountiful country picnics with a tasting of several gold and silver winning varietals to life on a regular basis. When we got there for a late lunch on Saturday, a table on the deck was already covered with eight or ten bottles and glasses, and a grill with various local carnivorous treats smoked nearby. An orchard with several types of fruit trees stood across a verdant lawn and beyond that, the hills of Sonoma County. We settled in as our host began explaining his Sauvignon Blanc and Chardonnay and I pinched myself. The idyllic setting aside, I’d never been to a hobby vintner before and it was impressive and naturally quite fun to try so many successful wines just among friends and family. Weather or not an experience of this kind will become customary, I don’t think it will ever loose its magic. And being entirely new to it, I had to find a way to take it with me. Enter the citrus. In the orchards I mentioned, a little bevy of trees sat heavy with the seasonal fruit. I stared, I smelled, I picked. And picked. So did the rest of us, and we left on Sunday with about eight to ten pounds of lemons, oranges and kumquats. 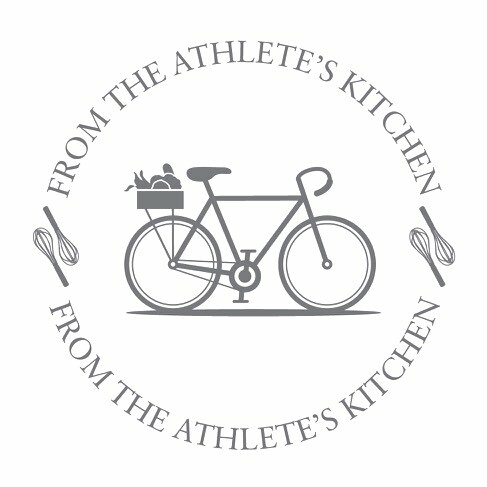 If the picking component of this experience had been done in the Northeast, there would by now be a pie, some apple butter and several snacks in our midst and that’d be the end of it. Never having had lemons by the bushel before, I have been scratching my head a bit. 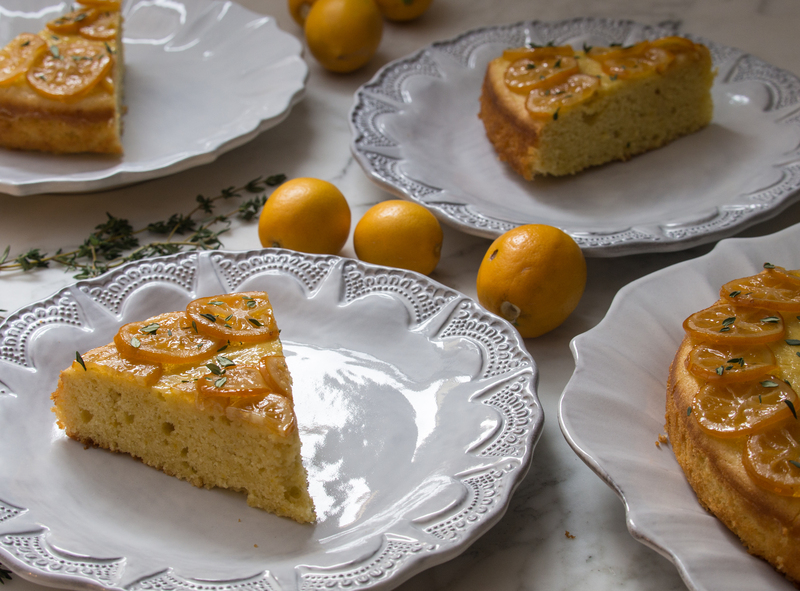 I’m excited to find additional ways to use up our newfound treasure, and for now share the first take from this unexpected project: a Meyer Lemon Olive Oil cake. 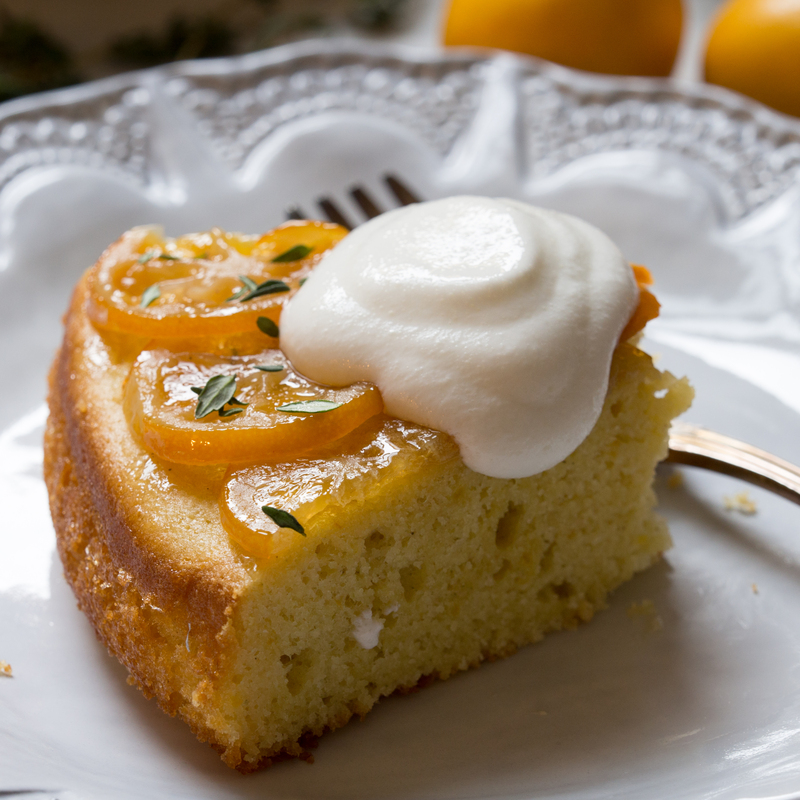 For this recipe I first turned to my ever-more tattered copy of Epicurious’ Italy Eats and went to their Olive Oil and Orange Cake recipe. It’s made with semolina flour and flavored with olive oil, plus a homemade honey and citrus syrup, and has proven a crowd pleaser twice and on both coasts. 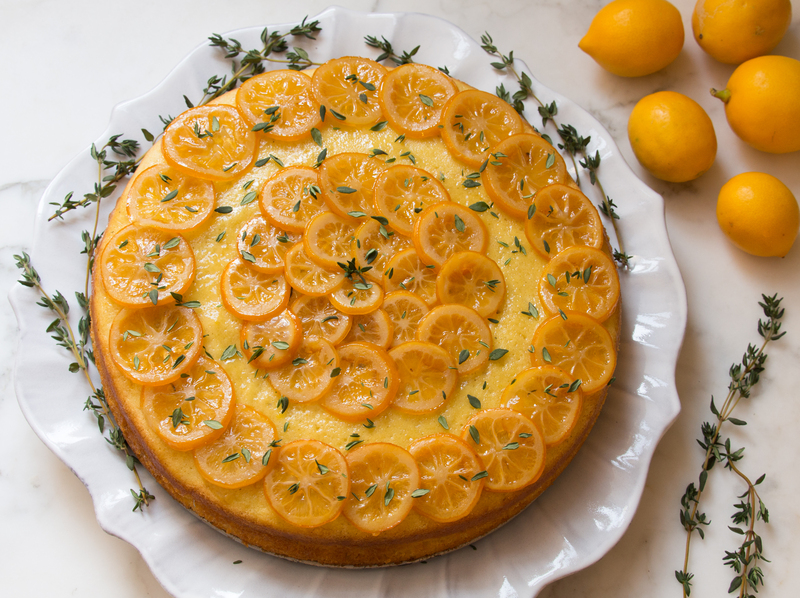 I updated the recipe by using Meyer lemons and thyme in place of oranges and cardamon, plus I reduced the sugar and honey in the topping by half. In doing so, I think this cake goes from certifiable dessert to a special-treat breakfast.